In addition to the minimum UTME requirement specified at O'Level, candidates seeking admission by Direct Entry are expected to possess a minimum of UPPER CREDIT at ND or HND and CREDIT at NCE for admissions into related areas from a recognized institution. At least two A-Level/IJMB/JUPEB passes in the following: Mathematics, Physics, Chemistry or Biology/Zoology/Botany are acceptable for admission into 200 Level. 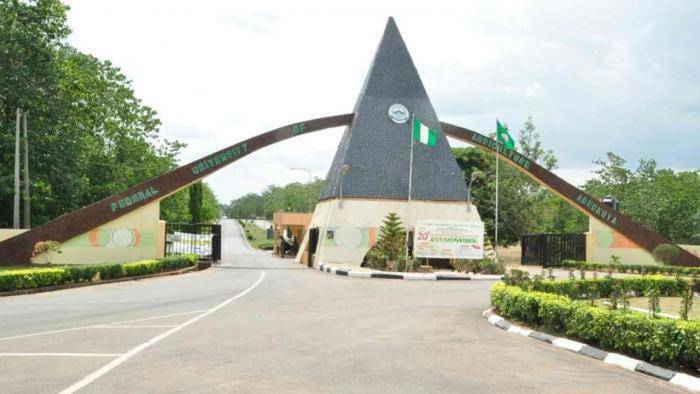 Direct Entry candidates, with minimum of Upper-Credit or its equivalent, who have also applied to JAMB for admission into the Federal University of Agriculture, Abeokuta (FUNAAB) are invited to register online. Candidates should ensure that their Academic Transcripts are forwarded to the Registrar, FUNAAB not later than Friday, 28th September, 2018. Eligible candidates are to access the Federal University of Agriculture, Abeokuta FUNAAB Admission Portal, click on "Apply for Admission" and enter their JAMB UTME or JAMB Direct Entry Registration Numbers to generate and print out their Application Invoice which states their Reference Number and other information on payment of a non-refundable fee of Two Thousand Naira (N2,000.00) only, excluding REMITA charges. On uploading of all required details, candidates are expected to first preview and confirm the entries before clicking on Submiton the acknowledgement page. DE candidates are further expected to have submitted their transcript not later than Friday, 28th September, 2018 and can check their Transcript Processing Status for verification. Applicants are advised to confirm the Admission Requirements into respective Degree Programmes before logging in to fill the e-application form.